Back in the summer we were contacted by Scout Leaders involved in the big NORJAM event. 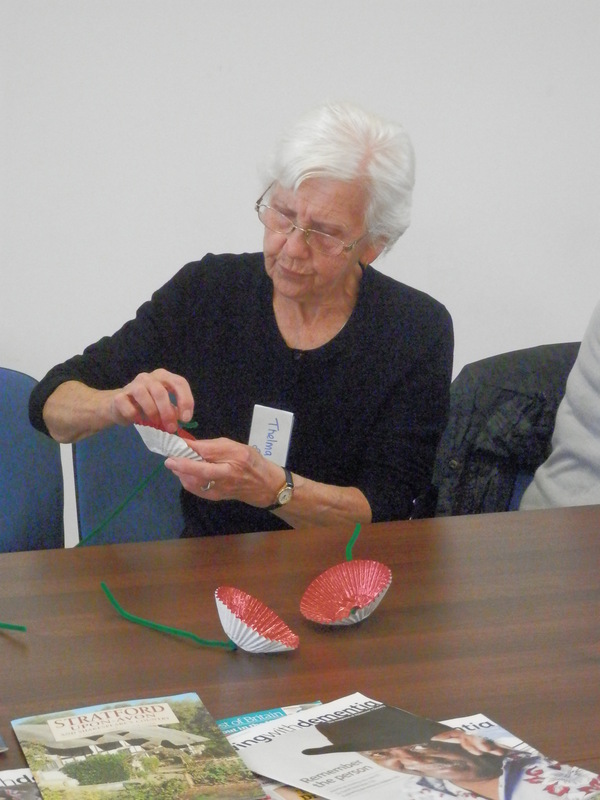 One of the activities the Scouts could take part in was poppy making – they recycled their drink bottles into wonderful outdoor poppies. 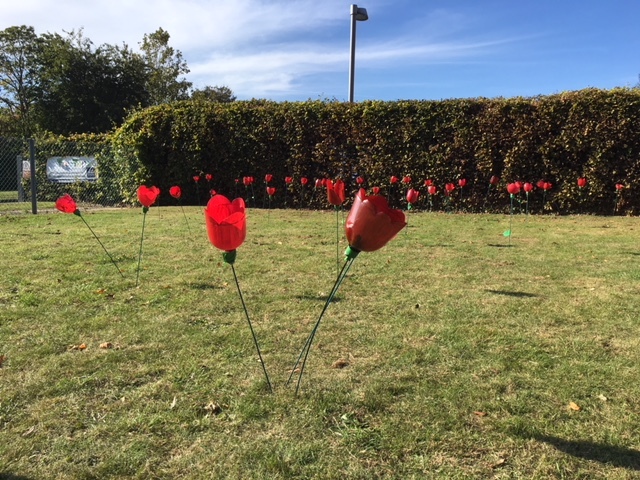 After NORJAM they kindly donated the poppies to our appeal – these have been distributed to some of the county’s library gardens and we have just been sent these images. 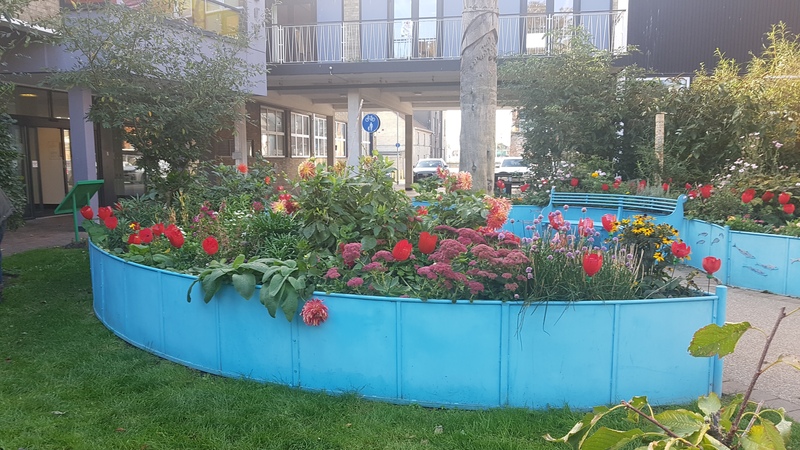 The garden at Yarmouth has also has just won a Gold Award and been named the overall winner in the community group for the Great Yarmouth and Gorleston in Bloom, 2018. 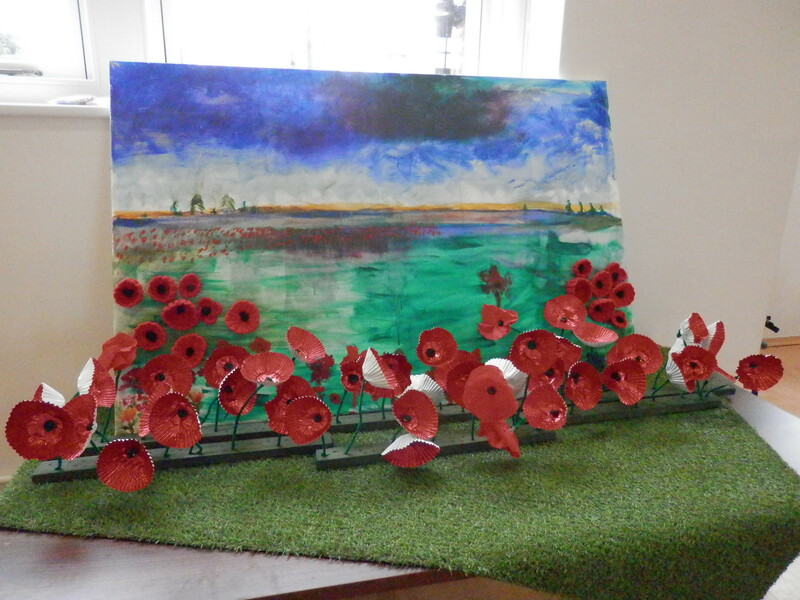 We are very pleased that they’ve found room for our poppies in their award winning grounds. 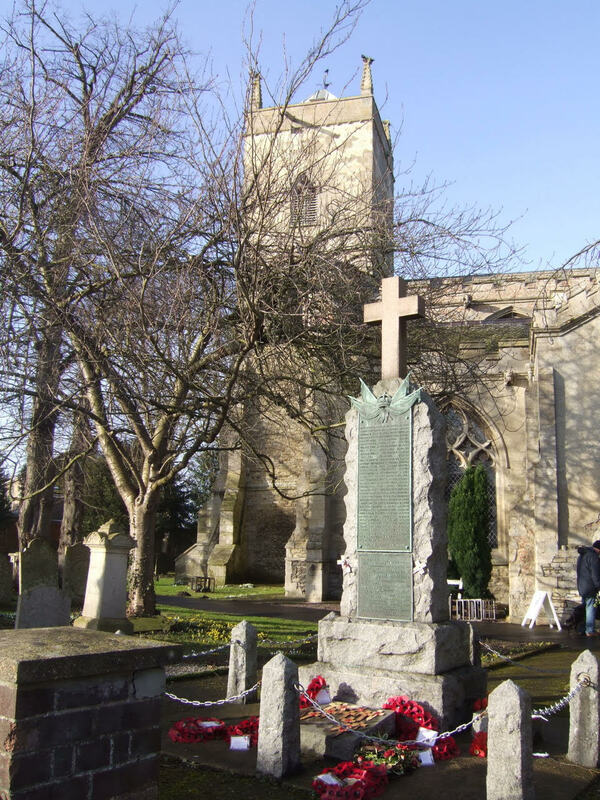 Dr Charles Nelson, Membership Secretary, Friends of St Clement’s Church, Outwell has been in touch to tell us of a wonderful event held at the church and how to still see some of the work involved. 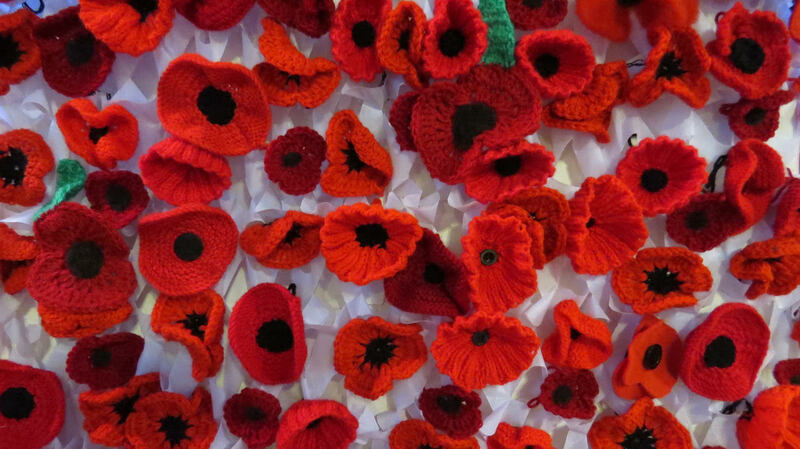 A spectacular cascade of scarlet, red and crimson poppies – knitted, crocheted, sewn or needle-felted by members of Welle Women’s Institute and St Clement’s Coffee Shoppers, particularly Elaine Allison, Rebecca Broda, Victoria Brown, Helen Crittle, Sally Harman, Edna Hollands, Margaret Lake, Liz Robson, Ruth Saunders and Linda Shinkin – was “unveiled” on Friday last, 5 October 2018, at St Clement’s Church, Outwell. 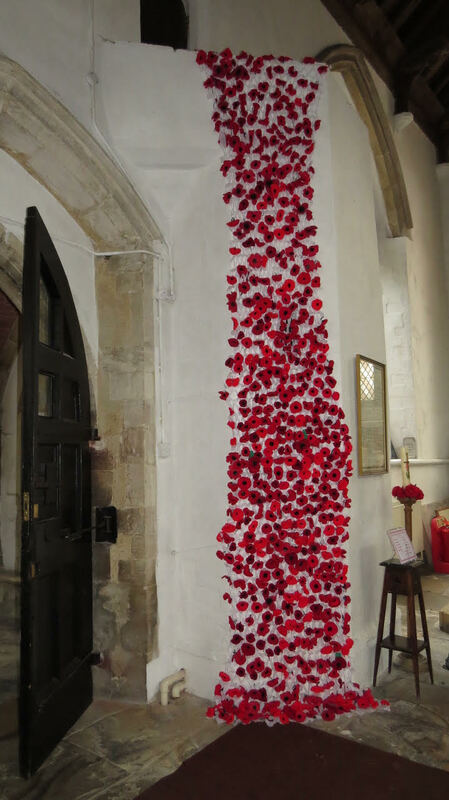 The cascade of poppies, stitched onto white camouflage webbing, falls from the summit of the staircase in the South Aisle of St Clement’s, and is part of the parish’s commemoration of the centenary of the end of the First World War. 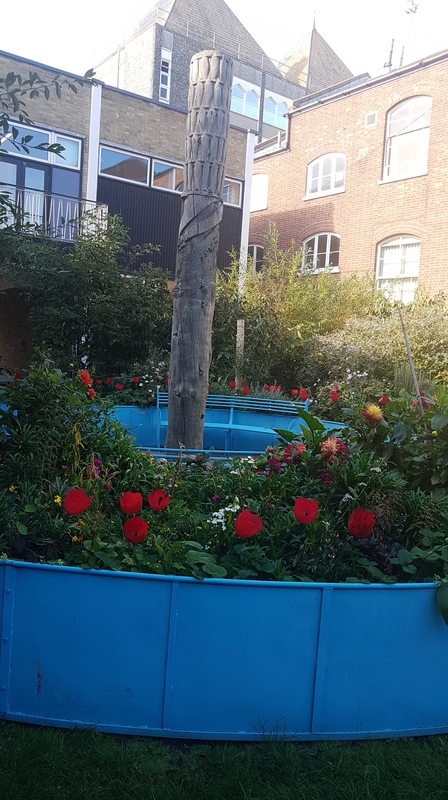 The cascade will remain in place until mid-November. 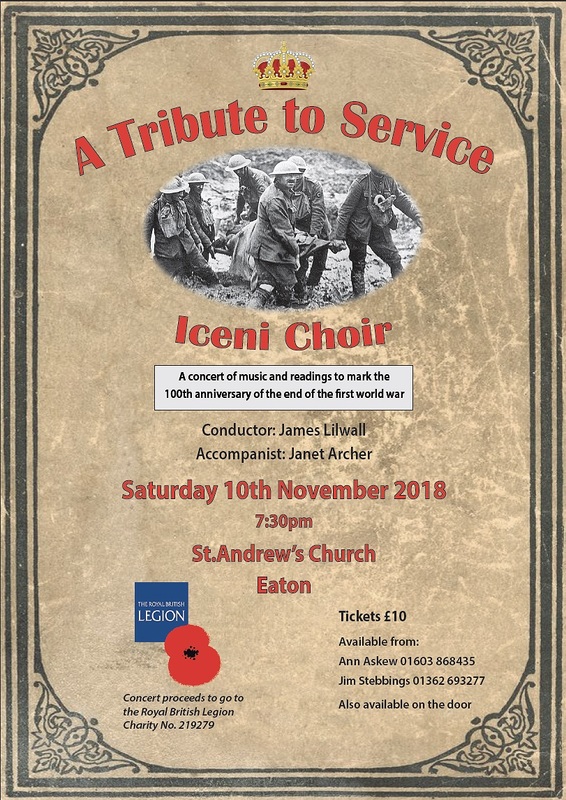 The “unveiling” occurred at a very successful concert given by the Upwell Gilbert and Sullivan Choral Society, also a tribute to mark the anniversary. 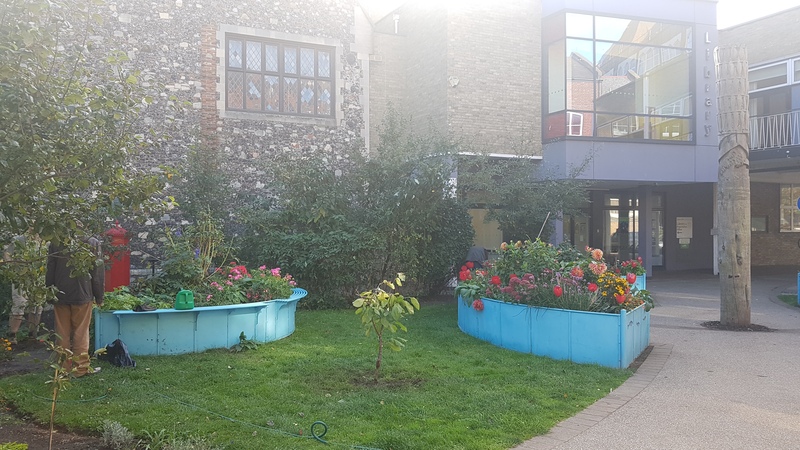 Other projects currently being supported by the Friends of St Clement’s Church include restoration of some of the antique furniture, including two massive wooden trunks and a fine Jacobean communion table, work funded also by a grant from the Leche Trust. The stabilising and protecting of the splendid mediaeval painted glass, especially that dating from 1420–1440 in the tracery of east window of the Beaupré Chapel in St Clement’s, is also a current project, assisted by the Glaziers Trust. 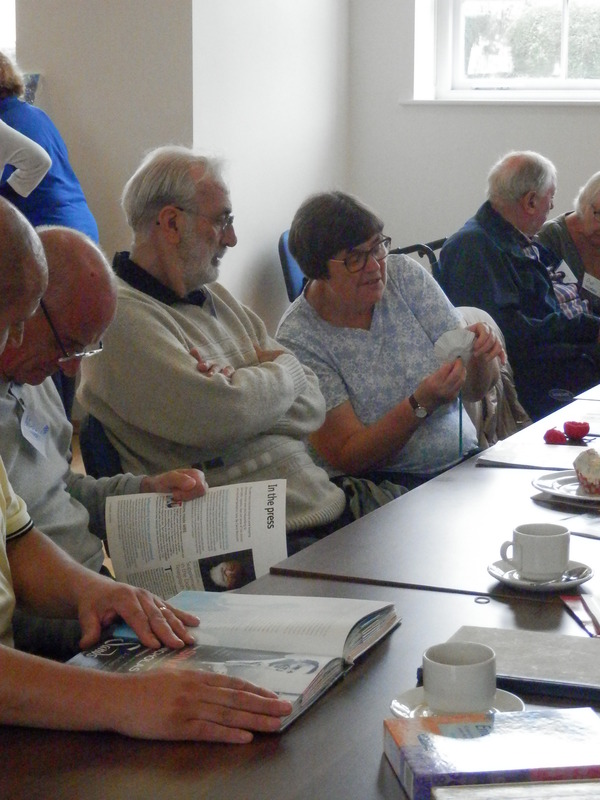 We thank Dr Nelson for sharing this with us, and also Mr Ashby for taking such lovely photos. 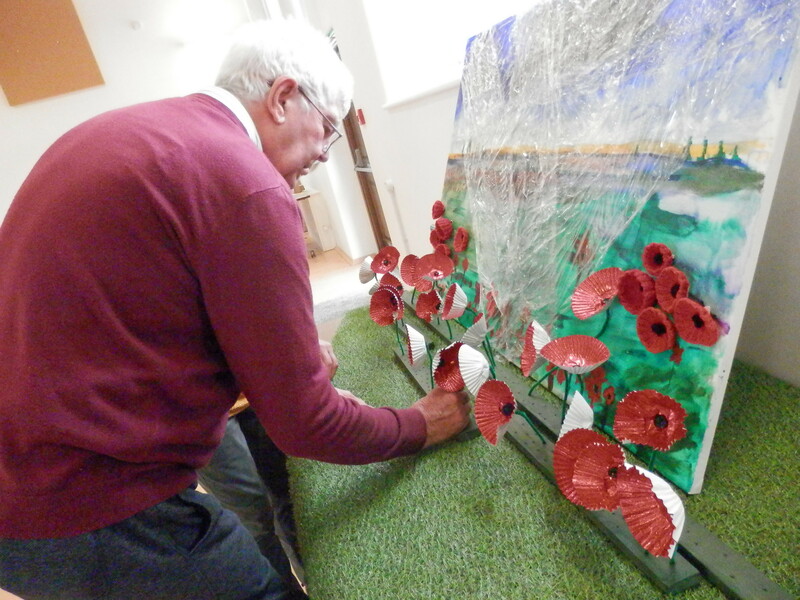 If you attended the concert, or you have other WW1 commemoration projects happening, please do let us know. 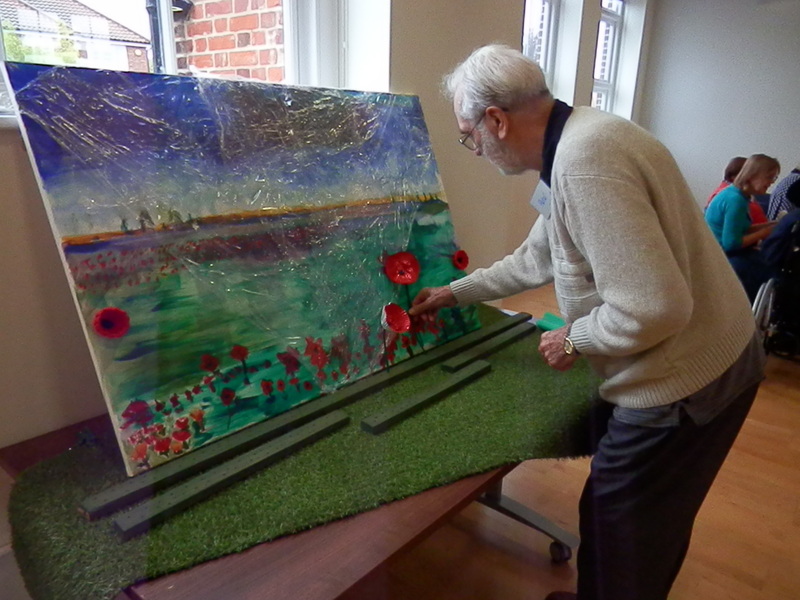 You may remember that just a few days ago we shared the wonderful project being run by the Sprowston Dementia Friendly Community – well they’ve now sent us the pictures of their final art work and we think it is wonderful. 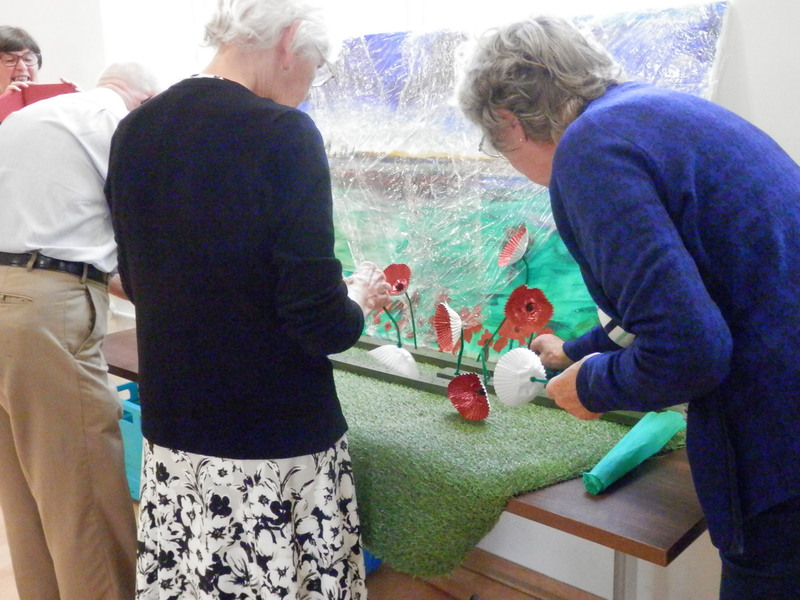 Do remember to send us details of any WW1 projects you are working on so that we can share them with our readers. 1918 was a year that was full of fighting and death – either on the battle fields or from ‘flu – and while it is important to mark the end of the fighting with the signing of the Armistice on 11th November it is also good to remember that December 1918 saw the culmination of another struggle when (some) women and all men aged over 21 gained the right to vote in UK elections. ‘Suffragette Stories: Exploring the Legacy’ is a free evening of talks open to all on Saturday, 13th October, 5-7.30pm in the Auditorium of the Forum in Norwich. It marks the date that the ‘Votes for Women’ banner was first raised at the Free Trade Hall in 1905 by Annie Kenny. Talks and discussion will throw light on the struggle against inequality of little known activists like the Kenney sisters, celebrate the achievement of voting rights for women (over the age of thirty), and consider the uneven progress of gender relations since. 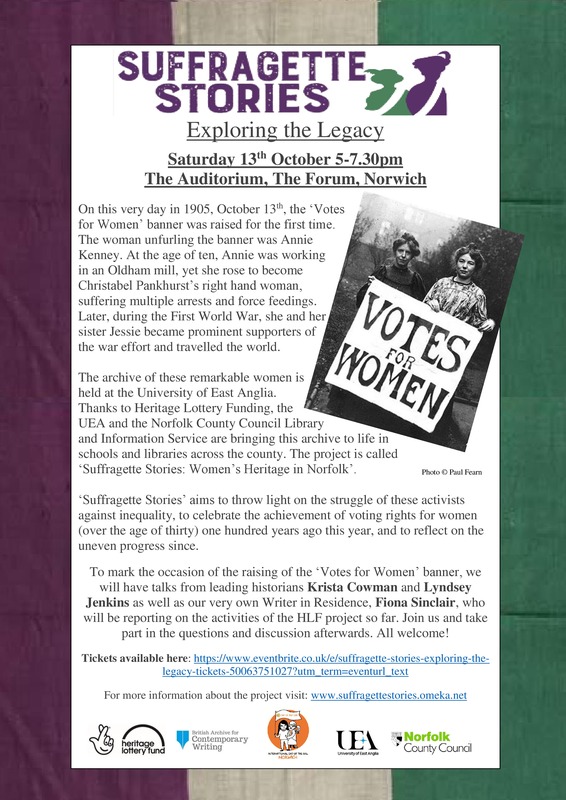 Join us to hear from leading historians Krista Cowman and Lyndsey Jenkins as well as UEA Archive’s very own Writer in Residence, Fiona Sinclair, who will be reporting on the activities of ‘Suffragette Stories’ HLF project so far. Listen, reflect, and take part in the questions and discussion afterwards. All welcome! Tickets to this event are free and can be booked here.